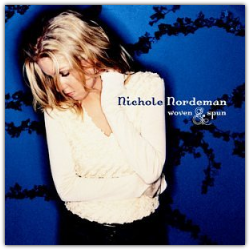 Jen interviews her “ride or die” friend; musician, songwriter and author, Nichole Nordeman. 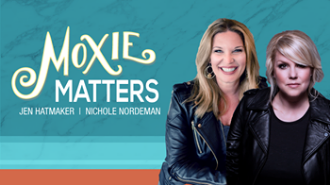 Nichole and Jen will be taking off together for the “Moxie Matters” tour (coming to a city near you starting October 2017 - MoxieMattersTour.com ). They share their hearts behind taking "moxie" on the road and share highlights/hijinks from their previous times on tour. Nichole also talks about her latest album (that should include a pack of Kleenex with purchase, btw) called “Every Mile Mattered,” and the moxie it took for her “slow down,” at the apex of her singing career. Jen: Everybody, it's Jen Hatmaker. Welcome to the podcast. Super excited today. I love it when I have my really good friends on, and I have a really good friend on today. 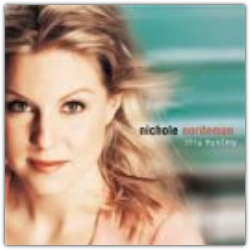 I've got Nichole Nordeman on the show today and she's just special in a hundred ways. If you already love Nichole, you know that. If you don't, you're going to see what I'm talking about. 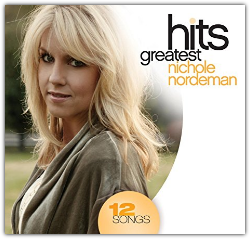 So Nichole's a Dove Award winning singer/songwriter. She's won female Artist of the Year twice. She's got over a million album sales during her career. 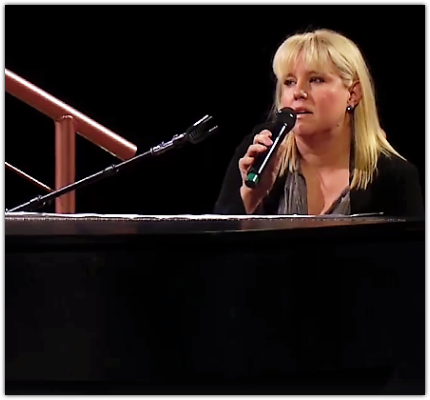 She's just very, very, very gifted and a reviewer once described her music as “putting the intelligent and introspective back into Christian music,” and you'll see you'll see what I mean when you listen to her to her lyrics and to her melody. She calls herself a wrestling poet. Her stuff makes you think, it makes you feel. It's just absolutely beautiful. 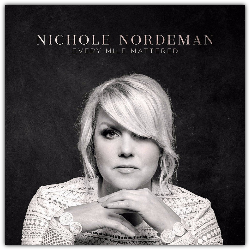 Her latest record is called Every Mile Mattered and it is, I mean it is really a revelation. It's phenomenal. 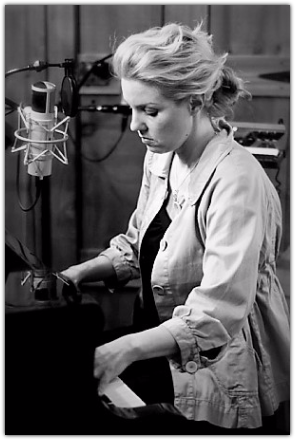 She's got a beautiful song on it called “Dear Me” that we're going to talk about. It made me sob the first time I heard it. A new version of “Slow Down” which you may have already heard or seen the video of with her daughter Pepper--it's the sweetest thing you've ever seen. In fact, the video of Slow Down that Nichole put together has been viewed online over eight million times. So it's clearly resonating. I’ll have all those links for you in the transcript. She's also a writer, so she's just recently written a book called Slow Down: Embracing the Everyday Moments of Motherhood. I got a chance to contribute an essay for it. It's just lovely. It's funny, it's poignant it's meaningful, it's for all of us moms; no matter where you are on the journey--you're going to love it. Last year, Nichole and I were on the Belong Tour together and this year we're just about to fire up the Moxie Matters Tour--just the two of us. I'm thrilled about it. I mean, I really couldn't be more thrilled about it. We're going to talk about it a little bit. We'll have all the links up for you too, but she's just one of those people that I respect, that I enjoy, and that I treasure. A really good friend, really loyal, very truthful, the exact kind of person I have decided to surround myself with for the rest of my life. I’m so excited for you to listen to her if you don't know her. I'm thrilled that you're about to meet her. She is just a really, really special person in my life. Without any further ado. Welcome. 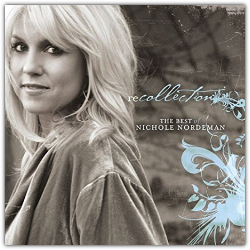 Nichole Nordeman. Jen: Aw, this is fun. Jen: Thanks for being on this thing with me. Nichole: Thank you for having me. I'm super excited. Jen: What are you doing this morning? Nichole: On my third cup of coffee. Nichole: With a little candle here. It's super rainy, and therefore a little bit dark here in Tulsa, Oklahoma this morning, so I'm just feeling cozy. Nichole: I love rainy, dark mornings. I don't know why. Jen: That's my favorite environment. Jen: I don't know if you're like me, but if I get a cozy, rainy, dark morning, it's like I have this internal permission to just not do anything. Whatever I was supposed to do, I'm like, "You know what? I can't. It's raining." Nichole: I know. Right, same. I just move from one cozy activity to the next. I'll probably start reading after we finish talking. I don't know, maybe watch Netflix. Jen: That's exactly it. Just something about it says, "Permission granted to have a blanket and a fourth cup of coffee and a binge, a good, solid Netflix binge. Jen: This is why you and I can never live in a rainy place. How do people do anything? Nichole: We would not have jobs of any sort. Jen: No. I can barely answer emails like it is. Okay, one fun thing that you and I have coming up that I want to talk about first is; we're just a hot minute away from the Moxie Matters Tour, which I'm excited. I'm excited to be with you, I'm excited to be on the road with you. This is just going to be a good time. It's super, super concentrated. We start on October 24th. We've got 14 dates in what? Three weeks? Jen: I think it's three weeks start to finish. I mean, it is nose to the grindstone there. We're going to have all of this up on the websites if you guys want to see what cities we're coming to and on what dates and all of that. Nichole: I am so excited. I am truly excited. Also, just a little bit blown away by the response. People have just been so gracious in gobbling up these tickets. I think we've sold out six cities, maybe eight cities. I don't know what the last stat is there, but I'm just really humbled that our friends are just going to want to come see us and hear us and I can hardly wait. Jen: Me too. I feel the same way. I think we just got an email last night saying we had two more cities kind of sold out, and we're adding second events where we can to those cities. But it's funny because we sort of went through ... it was kind of weird to get to this point; super unexpected. We were going to be on one tour, and then not. So there was a minute there where we thought, "Okay, I don't know if we're going to have any space this fall. I don't know if we're going anywhere." But what I loved is that we sort of banded together and said, "Okay, who will have us? Like, we'll go. Who wants to come? 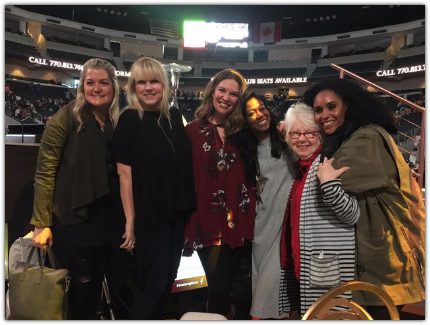 Who would ... " And all these wonderful churches, and leaders, and event planners, and just women just raised their hand and just said, "Let's do this." And they've been working, and working, and working. Nichole: That's so humbling, it really is. Nichole: I just feel like this is going to be really beautiful, and I'm ready to accept the invitation. Jen: I do too. Same. I think this one feels a lot like you and I: it's simple, it's not a lot of bells and whistles, it's not overly produced, or a big, fancy deal. It's basically a girl with a piano on a stage, and a girl with a microphone. Jen: I think that's what we're doing. I've just given you our programming. Nichole: To me, that is my speed. I know it's your speed too. I'm just all for the unplugged, authentic moments on stage and in person. I think it's just going to be really, really special. Jen: ​I agree. Let me ask you this, because this ... One thing about the Moxie Matters Tour is new to me, and it might not be new to you because you're a musician. This is going to be my first time to pull off, I guess, a traditional tour schedule, where you're virtually in a different city almost every night with only a couple of breaks in there. You've done this before, right? Nichole: ​Yeah, I have, but for me it looks a little bit different because I'm usually on a tour bus for those kind of long stretches. There's something very homey about your tour bus, and your bunk, and it sort of becomes your little cocoon for two or three weeks. So this will be different for me too because it's hotels, and airports, and different cities. There's not the constant threat of what happens on a tour that's normalizing. ​Yeah, I think it'll be an adventure. Yeah, I'm going to have to be really intentional about self-care, because I know you will too, because that's a pretty grueling schedule. But I think we'll be so energized by just the people that we meet, and the folks we get to encounter and the moments that we have. I think that will fuel us a bunch. Jen: ​I think so too. Three weeks start to finish, I feel like we're just going to dig deep. It's going to be fun together. You know, we've got a great team around us, and we've got Noah. Noah's playing with us, right? Nichole: Yes. Noah’s the man. He's just gold. He's just such a precious person, but also such a gifted artist, so I can't wait to introduce people to his music as well. He's really, really good. Jen: Exactly. He really is. He's a true talent, and he's funny. Jen: We need funny. We're going to spend a lot of time together. We need funny people who are normal. We need no un-normal, not funny people. Nichole: No. Nope. Let's put that in the rider. Like, "There's no humorless people allowed in the green room." Jen: That's right. "We'd like for you to do a five-minute bit for us, and then we're going to decide-"
Jen: "If that's high caliber enough to handle the road." Anybody who came and saw us on the Belong Tour last year knows who Noah is. Noah sort of led the house band. He was on guitar, kind of this scruffy, millennial-looking guy. He's amazing. Nichole: Yes, he is really, he's just so gifted and so gets us. Like, if he could put up with us all last year, then I think he's good. ​Jen: Exactly. I mean, really, that's so ... He deserved a lot of prizes for getting to the end of that. 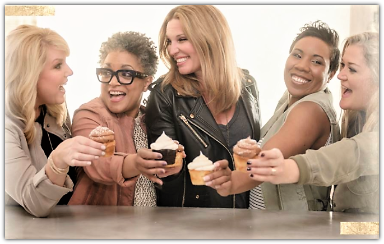 Speaking of last year, you know this, but on the very first episode of this podcast, Shauna was on, and we ... I threw this at her because it's one of my favorite memories from the Belong Tour. I mean, it really is. If I had to pick three, this is in my top-three memories of the Belong Tour. I kind of want everybody to hear it in your words, because you have this ... When I talk I'm over the top, I'm demonstrative, I'm loud, and I'm pushy. I love when you tell a story because you tell it in your beautifully calm voice, and it's like sleeper humor, like all of a sudden you just zing us with the most hilarious thing, right about the time I wanted to lay my head in your lap and have you stroke my hair with your voice. Will you tell everybody this story that I'm talking about, about Ken's mom? Because, I mean, it was gold. It was just gold. Nichole: I am just haunted, still haunted, still wake up in cold sweats. So on this tour that we were on together, I spoke for the first time. Like, I had a little speaking segment that was not musically related. I wasn't behind a piano, I wasn't storytelling, and singing, and all of that stuff. It was more like I had a slot where I stood with a microphone and talked, which was really scary for me. One of the things that I spoke about in my little segment was about just revealing and exposing things that we have been hiding in our lives; secrets that have sort of grown bigger in the shadows. To illustrate that, I told a story about my dear friends Ken and Shannon who have been just lifer friends for a long, long time, and had gone through a difficult season where Ken's mom had passed away, and she had lived alone in her house for like 50 years, kind of a hoarder, really, like just had so, so much stuff. Ken was really dreading going through her home, and the garage. Not just because the task was so unbearable in terms of getting through her stuff, but also because they'd had a hard relationship, and he wasn't really looking forward to unearthing childhood memories, and just stuff that was going to dig up emotional trauma for him. So he's telling me this story, and the story ends, really, with Ken and Shannon just deciding to go over there. He'd been avoiding it, avoiding it, avoiding it, and Shannon basically, finally encourages him to just go open the garage one time, take a look, assess all the stuff that's in there, and then, "let's just roll up our sleeves and get through it." And, of course, the ending is: once we just face it, and let the light in, and expose what's hidden, then it's not that bad. Okay, so there's the story itself. So I told that story, probably six or seven times on our tour. Jen: Easy, at least half the tour, yes. Jen: No, we grieved her. Nichole: The best part was that as my girlfriends are hearing me tell this story in real-time, I get to the part where Ken's mom died, and they all reach for Shannon like, "How did we not know this? We are the worst friends on the planet." Like, they're hugging her, and embracing her, like, "Oh my God. We had no idea." Well, that's because she's living. Jen: That's right. We just were there yesterday. Nichole: Yep, so that was a proud, proud, special moment. Jen: I can't. You texted us late that night. After you were with your friends you texted us all. We're all in our hotel rooms in our bed. I almost rolled off the bed. I just think it's the funniest thing that's ever happened, and I'm so happy that it happened to you. Jen: I mean, so amazing. It's so funny, because when you sort of do a tour like that, basically, almost every weekend, with maybe just two off from start to finish, there's just shenanigans. Like, we meant to do this really polished and professional deal, but it was just crazy, one thing after another. I do remember one hilarious moment ...you know, the thing is, in an arena tour, which are bonkers anyways, but there's cameras everywhere, like, super high-def, and they put them up on the big screens, because we were in the middle, but we look small. I do remember, at one point, you were doing one of your sets at the piano, and of course, from afar this would never, ever be a deal, but with these HD cameras zoomed in on her face, and one of your eyelashes, one of your ... it was just fluttering off. Jen: It is. You know, and it's right on you, and you're singing with all your feeling, and your eyelash starts just drooping down, and Shauna and I are dying! We were watching. We were like, "I wish you could just stick a pinky up and just shove it on real fast." Nichole: How distracting. I know. Then, when I got off stage, of course I could feel it happening. Anyone who's worn fake eyelashes knows when something has gone awry. I leaned over to Shauna and I was like, "Did that look crazy on camera?" And, of course, bless her heart, she's like, "Oh my gosh, no. A little, but just a moment." And I was like, "Why did the camera man not just cut to my hands or zoom out? Why are you on my face for 30 minutes of eyelash crisis?" Jen: And, of course, Shauna has all the grace that I lack. She's like, "No, I don't even think anybody noticed." And I'm like, "Your eyelash was falling down your face the whole time!" Zero chill, just absolutely no finesse at all. That's just how it is. We're bound to have this stuff go down on this tour too. Nichole: Oh, it's happening. Just get ready. Jen: I kind of hope for it. Nichole: Get ready for the professionals. Jen: I mean, here we come. Let's talk about something else. I told you last year you make me mad because you, I guess, are just going to be good at everything. I guess that's just how it's going to be with you, and there's nothing anybody else can do about it. Jen: What's so funny is, we essentially made you speak. You wanted to just play your sets and do your thing, and we're like, "You're such a storyteller. If you can sing it, you can say it." So you were so, truly, I've told you this too, but I had friends come to the tour last year, the Belong Tour, in almost every city. Nichole: Well, it was Ken's mom's death that I think really put it over the top. Jen: Well, I think it did too. Jen: But speaking of, you just kind of putting your hand to several different spaces and different genres. You've just written a book. It's awesome. It's called Slow Down. I loved to get to contribute an essay to it. Can you tell everybody about it? Just how it came to be, why you wanted to do this, what they could expect out of it? I mean, it's really lovely. ​Nichole: Thank you. And thanks so much for contributing too. That was such a special part of getting to put the book together, was asking people who I admire so greatly, and admire their parenting to contribute little nuggets of wisdom and stories. ​The book really was accidental, as was the song, as was the video. The whole thing just was never meant to be an actual offering outside of my own family. I wrote this “Slow Down” song for my son, Charlie, when he was graduating from the fifth grade. They asked me to sing a little song at the ceremony. I had no idea. What do you sing to middle schoolers? Then, literally the night before graduation, I just sat down at my piano and made the grave mistake of opening photo albums, and just kind of walking down memory lane.This song, and a lot of Kleenex just kind of spilled out of me. So I sang it the next morning at the ceremony; never intended it to be anything more than that. 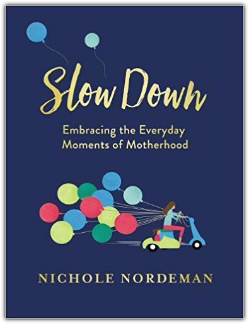 ​​Nichole: But people who are much smarter than me convinced me to record it, because it is such a universal cry of a parent's heart, that we just cannot slow down, or freeze time, especially the moments that we want to most. So I recorded the song, and then we just did this very low-budget kind of home video thing where we took footage of our dearest friends and their kiddos, or asked them to send it in, and we just kind of spliced together footage of our kiddos. So that just was a crazy sort of viral moment; didn't expect it. It's been seen online 8 million times, so I would call that viral. Nichole: Yeah, that's so weird. It was so weird and wonderful, just to realize, "Okay, this really is kind of a universal experience." So from that came this book. I just thought I wanted to just go a little bit deeper and maybe do a little bit more reflecting on my own parenting, especially in those early years, some of the mistakes that I made, or some of the roads that I traveled that, I wish I knew then what I know now, that kind of thing, encouragement to new moms who are in the trenches; stuff like that. It was just, it's a series of essays about my parenting and the moments that I have cherished the most. Jen: It's so good. It's a mix of incredibly tender, and poignant, and funny, and relatable. Jen: It will make people sob as much as the video. Speaking of that video, you played that song on the tour last year with the video playing alongside of it. I need to tell you, out of 12 cities I got through it zero times. I mean, zero times. You would think by time 10 that I would have developed some chops for it. Right? At that point I should have been able to sit there like a normal person. But you know, right? Jen: When that dumb video gets to the point where the dad walks in and sees his daughter in her wedding dress, I cannot. It was mean. I felt like ... mean. Nichole: Well, in fairness, you were sending your first-born to college, so we should have just made you leave the room every time. Jen: That's a good point. ​Jen: That's true. I was really fragile. But it was always funny to look around at an arena full of women, and in unison, like, in unison every one of their hands are reaching for tissues and passing them down. It's just so beautiful. This is your craft. This is your gift. You have this ... it's an uncanny gift at telling a story, using language, putting it to music in such a way that, I mean, the staunchest cynic cannot avoid it. To download your free audio book today, go to audibletrial.com/hatmaker. It's that simple. Audibletrial.com/hatmaker for your free audio book. Hope you love it. Jen: Did I text you this? I can't remember if I did. I think that I did. One of our pastors that we work with here at our church in Austin, cynical, kind of came out of the sort of Christian subculture that we know; you and I both grew up in it too, and has kind of this resistance to all of it, so kind of anti-establishment at this point, and, you know, burn the ... Anyway, he sent me a text when your CD came out. He was like, "Dang it! Dang it! Nichole-"
Nichole: Oh, you didn't show me that. That's so neat. Jen: Did I not? He's like, "This CD feels like a revelation." So nobody can resist you, so congratulations. I want to talk about the whole idea of Slow Down, because I'd love for you to talk for just a minute about how even just the whole concept of slowing down manifested in your own life. Because, as anybody knows who has followed you for years, when did you first start? What was your very first year? 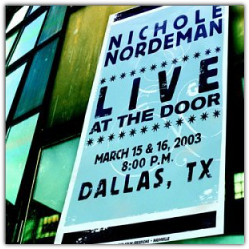 Nichole: My very first CD came out in '98, so it's been almost 20 years. Jen: Yeah, holy moly. So you've been on the Christian music scene for two decades, almost two decades. I mean, really, and truly, everybody knew your music. Everybody was listening to you, and following you. And CD after CD, or album after album ... What's the term? Is it album? Nichole: I say album still, sometimes I say record. Jen: Is that what we say? Record? Nichole: Project, I don't know. Anything's acceptable. Jen: Okay, so you had a million hits, awards, all of it, I mean, lots of awards. Then, you kind of, you took a break. You stepped away. That was a really big decision, and weighty. Can you talk about that season a little bit? Nichole: Yeah. I kind of stepped away at the height of everything. I remember having coffee with my manager the morning after I had, I think I won four or five Dove Awards the night before in Nashville. As you know, anytime you experience success it's always because there are a team of people behind you who have been working tirelessly. I had a team who had just been, since I first started, just really, really behind me, really working hard, so supportive. So it was really jarring for them too when I decided, not just to sort of pull back, but to really straight up hit the brakes. 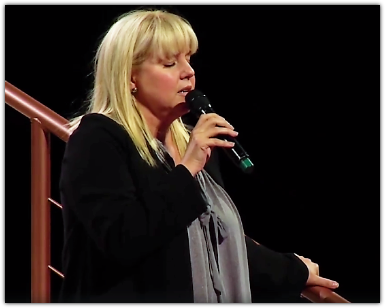 In truth, it was because my marriage was falling apart, and I absolutely didn't feel like I could give my career the attention that I knew it deserved, and my ministry, and also my marriage that was on life support after even just a very short time. I wasn't really public about that part of it because I just didn't feel like that needed to be a big story or a distraction. I just stopped. I said, "I'm done. I'll finish the obligations that are on my calendar, obviously, but then I need to stop." 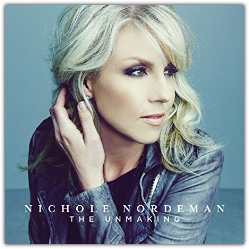 Because I just felt so broken and unable to continue this persona of Nichole Nordeman, and at the same time, just falling apart personally. So I took 10 years off. Nichole: I think the story that I've told myself and others was that I wanted to stay home with my little ones, and that absolutely was true as well. I didn't want to miss a moment. I didn't want to be on the road. I had friends and peers who managed to juggle those things really beautifully, and take nannies on the road, and homeschool on tour buses, and I just knew that was never going to be part of my story. So I just decided to 100% step out of artistry, and touring, and recording, and just stay at home and try to put things back together and be there for my little ones. Yeah, so coming out of that season and making music again has been just like getting back on a bike and trying to remember how it all works, and believe that I'm supposed to still be creating and just trusting that God will make that really clear. Jen: How did you know it was time to kind of get back on the bike? Nichole: I don't know that there was a moment. I think I just knew I had worked through enough stuff, and I had done a lot of, after my divorce, just a lot of counseling and just the hard work of healing and finding center again, and actually just ... It took a long time for me just to even believe again that I had music to write once more, and that God was still having things to say through me. I wasn't super convinced of that for a long time. I don't know if it was just more of kind of a slow realization, like, "Okay, I don't think I'm done yet. I think I have more to say, and hopefully there are people who would still want to hear what I have to say." 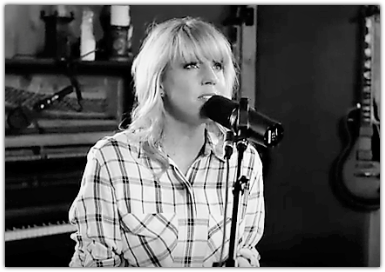 Jen: I have listened to your music both before and after the 10-year hiatus. I mean, I know for a fact that all your other listeners and fans would completely agree with me when I say that those 10 years served you so well, because your music now ... Your music has always been beautiful. You're a poet, you're a storyteller, you're gifted. But your music these last couple of years have just been, just beyond, honestly, beyond: the depths of which you're reaching, the things that you're writing about. If you could just generally put your hands around or sort of describe, what would you say in those 10 years, because 10 years is a lot. At our age, that's a huge chunk of our adult life. A lot happens in 10 years. We change a lot, we grow a lot, we learn a lot. Shoot. I mean, I'm 43, and at 33 I had completely different thoughts in my head. How would you say that you've, I don't know if changed is the right word, I'm not trying to make it dramatic, but how have you developed in those 10 years, and how is that kind of affecting your music now? 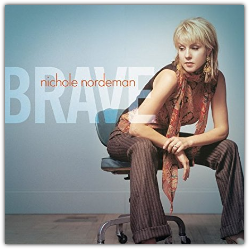 Nichole: Well, at the risk of sounding dark, because I don't think the music I'm making is dark, but I think, as you know, pain is just a great clarifier and a great teacher. I would listen to my early music, early recordings, and definitely hear honesty, but also I can hear myself creating songs out of expectation from others. "This is what needs to be a radio single, and this represents my life growing up in the church, and my life as a Christian, and this is just kind of what's expected." I think at this point in my life, I don't know if it's the painful miles that I have traveled, or if it just comes with age. You know, you hear so many people say, Man, in your 40s you just ... It's the great sifter. You just sift, and what is left is really kind of who you are when you let go of all the other stuff. So I feel like there's been a lot of sifting. I know myself more now. Jen: It seems like it. A lot of your lyrics right now are ... They're so beautiful, and they're generous, and kind to that process. I love that about, specifically, your latest album, the sort of generosity of spirit that you have offered to the path, to the journey, to the growth. “Dear Me” is obviously hitting everybody's note. I mean, it's so kind, just the kindness to which you went back and talked to your younger self. It's sort of how we would talk to anybody else who's younger than us, except ourselves. Jen: I love it, because, I don't know if you can relate to this, but when I was sort of going through a spiritual upheaval in my 30s, when I just was asking a lot of hard questions and having to sort of dismantle some things that I had built, and relearning what I think was some spiritual garbage that I had ingested. Everything just sort of felt ... it felt a little tumultuous. So when I go back now, and I read some of my words that I wrote during that season, they're intense. They're a little bit angry. They're kind of like, "Burn this mother down." They're a little bit self-righteous. The tone of it is not the tone that I would strike now. The tone now is that, oh, there's just so much more grace for that. There's grace for hard questions. There's grace for changing. They're grace for getting it wrong, but we were trying really hard. I think you're setting a good example for people in a generous spirit, that we can see people who are in one place and be kind about it instead of just awful about it, and mean, and judgmental. I love that. I really, really love that tone in your new album. I think it's beautiful. Nichole: Thank you so much for saying that. I do think that self-compassion is a new part of the journey for me. I think it's critical to have self-compassion before you have compassion for other people and where they are, where they might seem to be stuck, or those moments like you mentioned where you tend to feel ... where you want to be self-righteous, or preachy, or even rage against ideas and strongholds that you identify in other people. But I think the act of really being compassionate for your own journey, and looking back. That's not something we do naturally. Everything is forward motion, everything is, "What's next? I've gone through that, and now what's this? What's ahead? Strive, strive, strive." The art of reflection, I feel like, spiritually, is a bit lost. That's where I was when I was writing these songs. I wanted to look backward and not forward; really just take inventory of where I've been, as you said, with a lot of grace for that girl back there that said things, and maybe believed things, and articulated things in a way that I would not articulate the same way now. I think that there is ... It's an interesting exercise, especially that song “Dear Me.” I always encourage people who have been moved by that song to sit down and write themselves a letter. That's such a powerful thing. Nichole: Just take a second, write yourself a letter: your 10-year-ago self, 20-year-ago self. What would you say to that person about where you are now? Jen: We're going to have links up to all of this, but can you talk a little bit about "Dear Me" and the things that you chose to say to your younger self, and the kind words that you offered her, and just sort of the writing of that song? Nichole: Well, I've always talked a lot about growing up in the church and growing up in a Christian home, and I went to a Christian school for all of my education. I just literally was that person who lived very comfortably in a bubble in which nobody in my world didn't share my same belief system, and faith, and language for it. I want to be really careful too, to state my gratitude for that. I just have a lot of ... I'm really thankful for the foundation, really thankful to my parents, and my teachers, and my pastors, and everybody on that path. But for those of us who've walked that road, it's not where the real world ... It's not ... Life is not a script, and you don't engage people with a Q&A, and, "Here's the answers that I know I'm supposed to give and the questions they're supposed to ask." It just never works that way. So I think I wrote “Dear Me” kind of just nodding to that girl a little bit, like, "I remember when you thought that faith was about praying a magic prayer and securing a mansion in the sky." Then, a little older, like, I just was so sheltered, and so privileged. I didn't know how to speak to injustice. I didn't know how to speak to racial reconciliation. I didn't know. I just lived in the constructs that were built for me, comfortably. So now, this song is just about looking back and apologizing to myself, to God, to those around me for getting a lot of those things wrong, and forging a path ahead to make them right. Jen: ​The first time I heard it, I sobbed. You and I share a lot of history. Our childhood was similar, our dismantling had a lot of similar elements to it. I feel like one thing that I'm so drawn to you right now, I feel like you're doing this really, really well, I respect your leadership, I respect your choice of language. The way in which you do it is specifically the way you are speaking to injustice now, and that's a big theme in your music on Every Mile Mattered, and it's important. It's really important. ​We see different styles of leadership speaking out against injustice and power right now. I would say some styles are, well, they're intense, but I don't know how effective they are because they're so abrasive. It's so, just, contentious, and incredibly angry, and it burns a lot of the space in which dialogue might occur, except now it's scorched earth, so everybody's afraid to ask a question or to have the conversation. But the way that I see you leading right now, is it's gentle, but it's firm. It doesn't compromise the pursuit of justice for human beings, but you do it in a way that is inviting people into the story, and I really, really respect it. Recently, over on your Facebook page you did an amazing thing. I shared it. Everybody did. You wrote, Getting to Know Your Muslim Neighbor in 20 Easy Steps. So everybody listening, I'm going to have a link to this on the transcript so you can read it. But the very first step just tells us how burdened you were just to make this happen for you, for your kids, and figuring out what to do. This is what you said in Step 1: "Ask yourself for several years how to reach out or even find a Muslim neighbor. Worry that your sheltered children could be subtly absorbing Islamophobia. Wring your hands, and worry about appropriateness and awkwardness. Ask people around you who also have no idea. Keep doing this for an absurdly long time." It's so good, because your approach there is, it's so human, and it's so accessible, it's so relatable, and of course the rest sort of cataloged your journey. I mean, everything from Googling, "Do Muslims eat chicken?" Just hilarious, and vulnerable, and self-aware; that you didn't know what you were doing, but you wanted to. Can you talk about just that piece that you wrote and what that has looked like actually in your life? 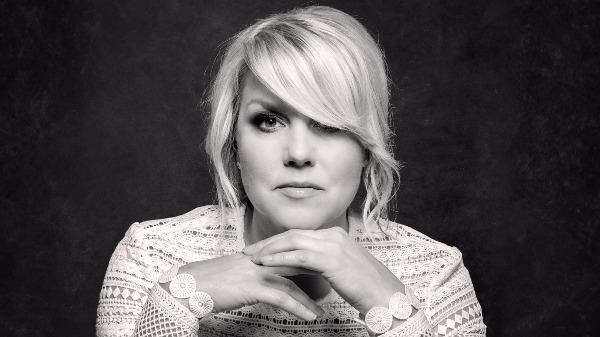 Nichole: I think that one thing that I always struggle with is I feel like there's always a huge gap, a huge space between wanting change and being an advocate for, like, doing it. That's the absurdly long time. I, for a long time, have just wrestled with, "Okay, I live in Tulsa, Oklahoma. It is a wonderful place to live and raise a family. My kids go to a Christian school, very much like the one I went to where everybody looks very much the same, and is in the same sort of socio-economic situation." So I just ... this longing for, like, how am I going to, A, expose my kids to a lot of wonderfully rich, vibrant, diverse culture in this space, and how do I protect them from just all of the fearful rhetoric that is everywhere, like, just, "Always be afraid of other, be afraid of other, be afraid of other." I know that they are somehow absorbing that, even at their young ages. So yeah, so I just, "What am I going to do? What am I going to do?" I just live in that, "how do I fix this" space forever. Then, just realizing how simple it is to just do something. For me, that looked like going online, finding an Islamic center that was having, literally that same evening, having a benefit; wonderful organization of Muslim women here in Tulsa who serve people who are vulnerable and in need, and they serve without ... like, they serve Christians. They serve every race. They serve every economic--they're just here to serve Tulsa. So we went, the man I’m dating, and I went to this unbelievable fundraiser, and were just so deeply humbled by how generous and kind people were, and that turned into me inviting a handful of these strangers to my home for lunch. I grabbed a couple girlfriends and said, "Let's make lunch for these women. I want to know more about how to build bridges in our community." It was easy. That's the thing. It was just easy. Jen: Yeah, I love it. Nichole: So that was the lesson for me moving forward, was, "Stop talking about it. Stop wringing your hands about, ‘How do I do this appropriately?’ Like, who cares? Just do it." Jen: Yeah, because then as it turns out, they're like, just women, and moms, and wives. Jen: You have a billion things in common. It's not this big mystery like, "Whatever will we talk about? Oh my gosh, we're going to talk about getting these kids back into school." You know? Nichole: That's exactly right. In fact, we were in Target just a few weeks ago, and there was a Muslim woman with her hijab on and Pepper said, "Mommy, look, she's wearing the scarf like your friends." And then I thought, "And there it is." Nichole: "The work I put in; that's what I was going for." Jen: That’s what the table does for us. We've said this a thousand times, that if you can put on a pot of chili, then you can build a bridge. Jen: It's not hard. It's not magic. Jen: I think you set a really, really good example there, because specifically with our Muslim friends and neighbors, that bridge is tricky; it is. Jen: From the Christian community, and it's one that not many people are willing to explore, or to make mistakes, or try. So, I mean, of course it resonated, your response to that was so overwhelming. I mean, it was shared far and wide and generated so much good conversation, and I loved it. You put a little ... I just dropped it. It was just a tiny little pin you put in this story about the man you're dating. Jen: Just a little pin. Nichole: Just a little ... Yes. It's been such a gift. I think I, for a long time, just didn't think that being in a relationship would be a part of my story ever again, and I was kind of fine with that, like, "I'm just going to put my head down, and work hard, and raise these wonderful children." I just didn't think that there would ever be space in a room in my heart again for love. So it's just been the most wonderful surprise. Jen: Oh, he is so wonderful. Jen: I'm bananas about him. It's embarrassing almost. He's just so great, and you're so great together, and everybody's so happy about it. I'm just thrilled. How old are your kids right now? Nichole: Charlie is 14, just started 8th grade, and Pepper is 8 and just started the 3rd grade. Nichole: Man, so much better than last year. Yeah, last year was just rough, my goodness. Nichole: Yeah, 7th grade sucked. Jen: 7th grade was the worst year in our home too, for almost every kid. Jen: Yep, almost every kid. Nichole: Yeah, this year's way different. Jen: Yeah, I like 8th grade. 8th grade is where they start, somewhere in 8th grade, sometimes it's right around December in my experience, but they just start pulling through that crushing awkwardness that they've been doing for two years. Where it's just like, "Talk normal. What's wrong with you. Why are you talking like that? Why are you being like this?" All of a sudden you're like, "Oh, there you are!" Nichole: "I like you! There you are!" Jen: "There you are! You're back!" Nichole: Yes, that's absolutely true. Jen: "You're back!" Yes, and then it just gets better, and better. I'll be interested to see your opinion as you head into high school next year and see what your thoughts are, but I feel like high school kids are really fun. Nichole: ​I have always been so encouraged by the stuff that you've written about having teenagers, because I do think there's this sort of lie that we're all fed, like it's just going to be horrible, and so just brace for awful, and get ready, because here comes the hormonal assault, and your kids will hate you, and blah, blah, blah. And I just feel like you have been such a light, just in anticipating those years, because it's been so much fun for your family, and you have loved those years connecting with your kids. So that's a huge encouragement to me as I'm a little bit behind you on the path. Jen: Don't you always wonder about these people who are like, "Enjoy it now because when they're in high school you're going to hate yourself." Like, "Lady, what are you doing here? What is your major malfunction? Just zip that up at least. Don't even share it." Nichole: When people just can't wait for their kids to go to college, I'm like, "Um, I'm going to be hanging onto ankles dragging down the road. Let me tell you-- sobbing." Jen: Well, you saw me last year. Jen: Do you remember that on our very first, the very first tour date in Columbus, that was the weekend that Gavin was moving into college? Jen: ​First of all, everything is so off the rails. It's our first time, everybody's nervous, we haven't worked out any of the kinks. We're going to have a Friday and a Saturday event, and then I am catching a flight to fly to Lubbock. I'm supposed to get there like midnight on Saturday night and move Gavin in all day Sunday. Of course, we were in Columbus and there was this awful weather, and I got this notice Saturday morning, "Your flight's canceled." Do you remember? Jen: I was in the green room sobbing, like, "No! No! I can't do it! I've got to go!" Already, my emotions are so off the charts, already. So I remember calling in Columbus the airline and saying basically, "You have to get me to Lubbock. I don't care if you fly me the other side of the world." Nichole: Right, "I'll go to Hong Kong." Jen: "If we have to route through Canada. I need you to get me to Lubbock because my kid is moving in, and we get one day. There's one day where he moves into college. There is no possible redo." I need a mom on this phone. Jen: “and she is going to help me." So he, bless him, I mean, I think he gladly passed me off. I think he was like, "No problem, lady." Passed me to some woman, and by-golly, she got me there by 10:00 in the morning. So anyway, that's my ... You know how well I was doing, my point is, my kids are going to college, and I'm basically threatening to assault a young man at American Airlines if he can't get me there. Nichole: That’s a beautiful story. I had totally forgotten about the time of all of that. Jen: Just terrible. I think I came home that next Monday, because the next day all of our kids started school, so there was a lot going on in four days. Right? I got the kids all to school on Monday, and I slept for like 10 hours. I went to bed in the morning and slept for 10 hours. That was a really long story. I'm sorry. Jen: Why am I telling that long story? Nichole: It’s a great story. Jen: So I want to tell you that I read a quote from you that said that if you were going to be remembered for any one thing, that you hoped it would be for loving people well. But you also have said, I've heard you say this, that you're not necessarily, or haven't always been really open about letting people love you; that can be a one-way street for you. What would you say about that? Has anything changed in that regard? How have you sort of navigated that tricky vulnerable space to being loved? Nichole: I think it'll be a lifelong struggle, honestly. I think it's just more of a gradual chipping away for me, and not just ... I don't think I'm ever going to wake up one day and just be the most open, vulnerable person. It really is an act of discipline for me to be in a relationship and to choose to ask for help, to choose to tell the truth about things that are easy to hide. I have friends who, I would say my dearest friends, are very much the opposite, they are like, heart on your sleeve, never an unexpressed thought or emotion. So there is imbalance in those friendships sometimes and frustration, because it can feel like, "Well, I'm just here for them, and I'm the one who is a good listener, I'm the one who's receiving all of their vulnerability, but not ever reciprocating." So it can fee a little bit like, "Hey, it'd be nice if you had a crisis once in a while." ​Nichole: I've had those hard conversations with some of my best friends. It's not that I'm not in crisis, it's just that I'm not talking about it. I just go very internal. I'm a little underground. Yeah, I think it's just going to be one of those things that I will spend my life having to wake up every morning and sort of choose vulnerability. It does not come natural to me. But it is such a gift when you allow somebody to love you well. Jen: It is. I will say that my assessment of your album, of Every Mile Mattered, it's so vulnerable, and it's so tender, and I feel like you showed so many beautiful parts of your story and your heart and your path. In fact, just this morning I was reading somebody's review of the album. I'm sure you've read it, but it was so like, "Whoa!" He said, two things about you that I agreed with wholeheartedly and I thought were so flattering and such a wonderful thing to say about your music. 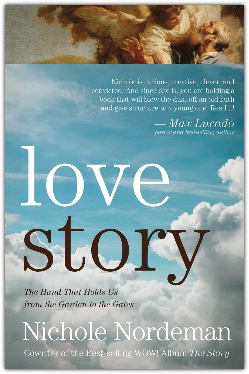 He said first of all that you, "Are perhaps the most thought-provoking faith-based storytelling treasure since the late Rich Mullins." Jen: Which, those of us who grew up in Christian music know what a beautiful compliment that is. Nichole: That is the truth. Jen: Rich did something really unique in his time, so to be compared to his brand of storytelling was ... Then, the other thing that he said that I was like, "Stop!" Is, he was talking about, specifically, “Dear Me” on the album, and he said, "Dear Me is destined to be Nichole's Purple Rain." All right. That's just enough. Then he said, "If not a bedrock of the entire genre." Jen: That's really high praise, and it's deserved. Jen: It's deserved. It's so gorgeous. I'm so proud of you. I'm so excited to be on the road with you this fall, as this is the music you're going to share. I've told all my friends. They're all coming. I'm like, "Don't even come for me, come for Nichole, and Nichole alone." Nichole: That's why all my friends are coming for you, so that'll work out really well. Jen: It's just so ... It's such a gift to world. I'm really proud of it, and I'm proud of you, and I can't wait to do this with you. Let's wrap this up here. A couple of quick little questions, just down and dirty. These can be serious, or they can be not. We're nearing the end of this series called For the Love of Moxie. You have it in spades. So can you just say, just quickly, like stream of consciousness, what's a messy moment that you've had where you kind of pushed through? Jen: Inside out and backwards? Nichole: Tag in front, backwards. Nichole: It was 8:00 am, so no one should have to be singing at that hour. But yeah, I don't know, I have like 1,000 of those kind of messy moments. They're constant. They're just constant. Jen: That's hilarious. Awesome. Perfect answer. Okay, one more. This is what Barbara Brown-Taylor asks, and it can be anything at all: "What is saving your life right now?" 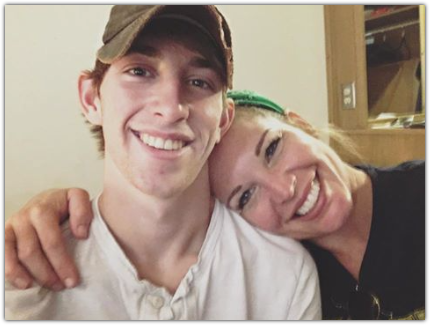 Nichole: What is saving my life? You know, I think self-care is saving my life. That is a new concept for me in my 40’s. I just am trying to think really holistically about everything in my life, what I put in my body, what I put in my mind, the words that I put in front of my eyeballs. What choices am I making that are really feeding my soul in every way? I've just never been good at that. I'm the crash dieter my whole life, and I'm the quick fix, and I'm all that stuff. I feel like I'm really slowing down in some really wonderfully intentional ways to say, "How can I take care of myself, which will help me take care of the people around me that I love?" A lot of people discovered that a long time ago, but it's brand new for me. Jen: That's perfect. How wonderful. Maybe you can teach me some of your ways as we hit the road. Jen: I can't wait, friend. I really can't. I can't wait to sit beside you. Nichole: Oh my gosh. I'm just so excited. Jen: I Know. I can't wait to pray with you, can't wait to serve with you, and travel with you. We're both, like, textbook introverts, so I love that, because at the end of the night we can be like, "Bye." Jen: "Bye. That's it." And nobody's going to feel bad about that. Jen: Okay. I love you dearly. Nichole: I love you. Thank you for this. This has been so much fun. Jen: Absolutely. Thanks for being on. Nichole: You're just everything. I love it. Nichole: Talk to you soon. Jen: Talk to you soon. Jen: Love her so much. I just love her so much. I can't wait to travel with her on the Moxie Matters tour. We're so excited to see you guys. I hope you're coming. I'll have the link up for you; you can see all the cities that we're coming to and get your tickets. They're really affordable. Grab your friends and come see us. I promise you it'll be meaningful. I promise you, we're going to laugh. There is a 100 percent chance you're going to cry because Nichole’s stuff is so powerful, and so we're thrilled about it. We're thrilled to come see you. I'm just thrilled to have you here. Thanks for joining us week after week on this podcast--I'm having the most amount of fun. We love your reviews, We love your feedback. We love it all. We've heard so many great things from you and you've given us some fabulous guest ideas that we're working on for the future, so thanks for your input. We are absolutely listening. So you guys--everything we talked about, every single thing will be over on the transcript. We’ll have all the links up for you. 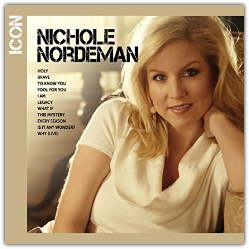 You can find out more--you can get Nichole's book and album, and I promise you you will not regret it. So OK everybody, have a great day--thanks for joining me today. I'll see you next week!